1. What first made you want to become an artist? Growing up, we didn’t have much money. I remember my mom would bring home things to sew so that she could stay home to look after us. She would also sew clothes for my Barbie dolls. I was so inspired by the little clothes that she made from her fabric scraps that I started handsewing items for my dolls too. Doll clothes then turned into handmade magazines and books for Barbie to read. The need to create then subsided until I started going to college. 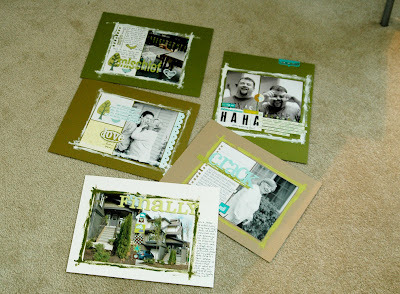 One craft/art form led to another and here I am now with scrapbooking, cardmaking, altered art, and photography. 2. 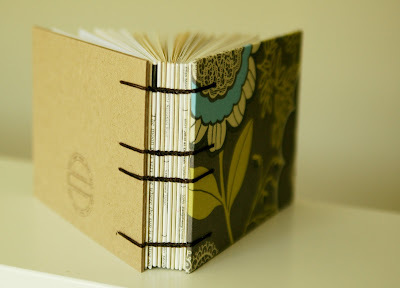 How and when did you get into scrapbooking? I got into rubberstamping and making cards back in the late 90s. This form of craft kept me sane through my years of studies in college. Whenever I got anxious about school, I would run to the rubberstamp store or make cards. It wasn’t until a few years back that my husband Eddie suggested that I should start scrapbooking (what a cool husband huh?). I never had the best memory and had always liked keeping a journal to remember the past. So my new love for this art form was born. I remember taking fun classes and going to CKU in hopes to develop my style. It wasn’t until I won the Creating Keepsakes ‘Turn in Your Friend’ Contest that I found out I actually had a style. So cool! 3. 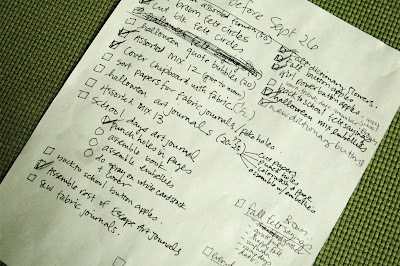 How do you keep track of all your ideas? I really try to be organized and jot all notes in my iPhone but I just totally forget sometimes because so many ideas are running through my head. Lately, I’ve been working with the season. It helps that I have a few variety of product lines now so I can build on that. It’s really hard to have to limit myself on what I can do because I only have so many days of the week to work on my shop. And truthfully, ideas have been jotted down on plain white computer paper that I take with me everywhere I go in the house. I then get all flustered and mad at the husband when it disappears-“where’d it go, Hon? I know you saw it. You hiding it on me? ?” LOL! Still working on a more efficient system. 4. How do you organize all of your stuff? I have to keep my supplies in plain sight or I will forget that I have them and buy more (we all guilty of this at least once aren’t we?). Loved the chrome shelves that Ali Edwards used so bought one then two. I love how they just fit so perfectly against this wall in my studio. 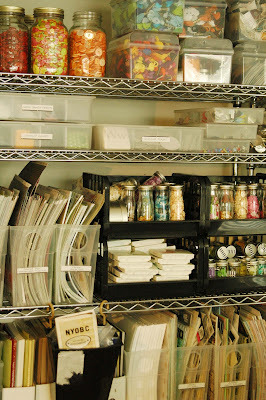 Because of the adjustable heights of these shelves, it’s so easy to find containers/baskets to fit them perfectly. My favourite place to shop for cheap organization stuff is Daiso (a Japanese $2 store). I found these cool magazine holders that fit 12x12 papers and I bought like a gazillion of them. Love how they make all my papers visible but take up little room. I also love the black baskets that they have that stack on top of one another. I keep all my shop embellishments in these. I also have this IKEA bookcase that I got doors for and I used it to house all the knickknacks that would otherwise make my studio look really out of control. I’m also super lucky to have a husband who is always looking for ways to give me more storage space. He’s cleaned the garage twice now to make more shelving space for me in there. We splurged on lots of cheap IKEA shelves and plastic bins with lids and paper boxes. 5. Who takes the neat photos of your products? I do:). Then I tweak them a bit in Photoshop with curves and by increasing the contrast. 6. How do you take your photos and make the background blurry? I shoot with a Nikon D70s and a Tamron 28-75mm 2.8 lens. When I’m photographing my products and want a blurry background, I back up as far as I can from the object I’m photographing then I use the zoom in my lens and set the aperture to 2.8. I love shooting in aperture priority mod (the A on the dial). I’m totally an amateur when it comes to taking photos. I just know enough to do the basics. Maybe one day I’ll take some professional classes but until then I think what I know will do. 7. I’m a digital scrapbooker and LOVE your embellishments! Are your embellishments available digitally for purchase? 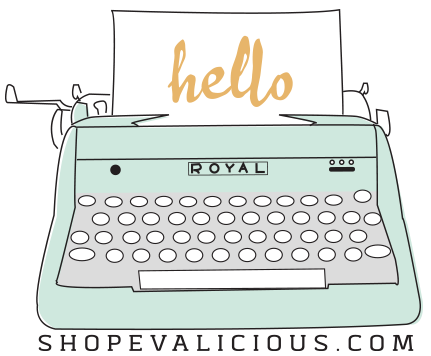 I’m so excited that even digital scrapbookers like my products! Unfortunately, there are no plans right now to go digital with the items I create. Maybe in the future if I get enough inquiry;). 8. 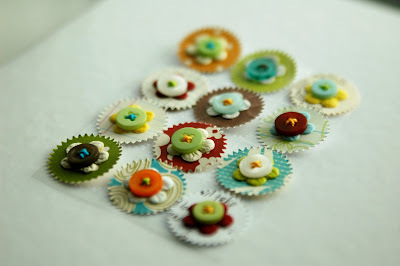 If I buy your embellishments, can I photograph them then convert them to digital images so that I can use it digitally or sell them? Sorry, that would be a violation of copyright. I spend a lot of time thinking up new designs so that I can offer something new to my customers. 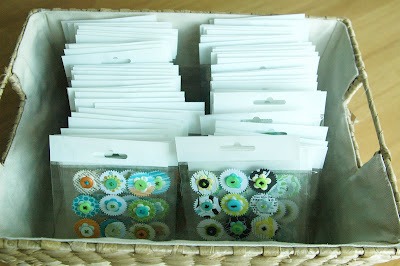 My embellishments are for your personal use only and not intended to be converted digitally or for your monetary gain. Thanks for your understanding. 9. What about sending my artwork in for publication in which I’ve used Evalicious embellies? 10. I'm interested in ordering more than just a few of your embellies for my monthly kit club and shop-do you sell wholesale or give bulk discounts? 11. Will Evalicious sponsor/donate products to my event? We would like to take part in a particular request if the timing is right. For example, if sales are really good that particular period in which you're making a request, if we are needing a little extra publicity for Evalicious and if we are not overloaded with work or if we haven't already fulfilled a donation request in a while. We also believe in supporting those who have supported us. If you've been a past customer, your request is more likely to be accepted. Although we'd love to sponsor all requests, it's just impossible because of monetary/time constraints. We are just a wee company. Please don't be offended if we don't answer or decline your particular request.